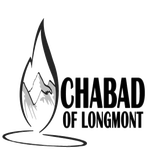 Welcome to Chabad of Longmont. We are a local and vibrant community with programs and activities for the entire family. Our philosophy is non-judgmental and friendly. From the moment you walk into our beautiful facility, you will immediately feel at home. Our Rabbi and staff are warm, caring and sensitive. Our programs are user-friendly and custom-tailored to meet your needs. We believe that regardless of educational background or affiliation, it is the inalienable right of every Jewish person to learn and participate in our heritage that belongs to us all equally. You are welcome to come and avail yourself of any of our programs and activities. We are very proud of our accomplishments and for becoming an important Jewish program and service provider in Longmont. We open our arms to you. Please come and grow with us. The Torah is also known as the 'Tree of Life'. As Jews, our life is not only a material one. We must grow educationally and spiritually. Please join us for an experience you won't regret. For more information, contact Rabbi Yakov Borenstein!